This affordable, padded soft case is designed to protect and extend the life of mobile lighting fixtures. Suitable for all brands, it's great for mobile DJs, karaoke rigs and working bands and saves valuable transport space by allowing fixtures to be stacked without having to be boxed. 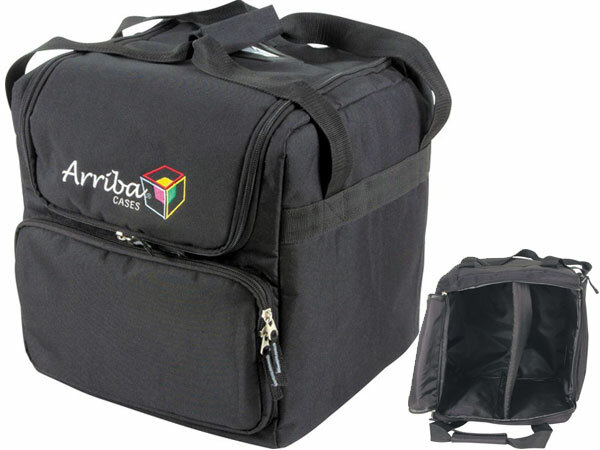 It features a secured, zipped pocket for storing extra lamps, clamps, cables and other accessories. The bag also has a secure view window to make it easy to identify specific fixtures even after they've been packed, or place your business card in the window for personal identification. The extra-wide mouth design allows equipment to be removed quickly and easily.